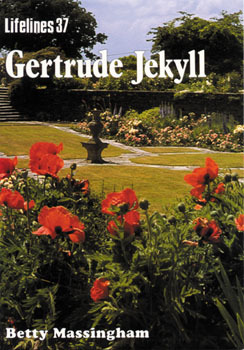 Dimensions: 6" x 8 1/4"
With her extensive background in art, Gertrude Jekyll brought to garden design an artist's good taste, a knowledge of rural tradition and a respect for craftsmanship; especially of the architect's craft, which so marks her work with lifelong friend and architect Edwin Lutyens. This book is the history of that great lady which details all her many great accomplishments and contributions to gardening. It covers her early life, many talents, change in careers, cottage gardens, etc. as well as a complete bibliography and index. It also features numerous beautiful black and white photos.Whether you are a garden lover, history buff, or fan of Gertrude Jekyll, this fascinating biography is sure to be cherished by all.